Meet an amazing menagerie of creatures on this breathtaking safari through the animal kingdom. 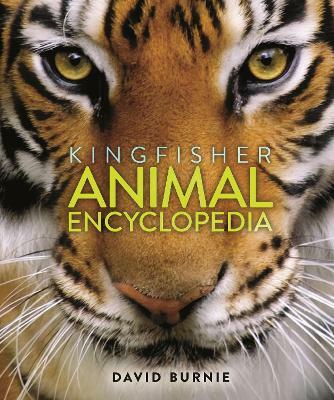 The Kingfisher Animal Encyclopedia spans the Earth from pole to pole, covering 2000 animals from the tiniest protozoan to the mightiest mammal. Each entry describes the animal's characteristics, behaviour and distribution, and gives their Latin names. The meticulously researched information is highlighted by clear, authoritative writing and more than 1000 photographs and illustrations. Throughout the book, special feature panels focus on various aspects of animal behaviour, such as camouflage, migration and hibernation. With comprehensive back-matter including a glossary, alternative name index, and general index, this one-stop reference tool is perfect for research or for browsing by animal-lovers of all ages. David Burnie studied zoology and botany at the University of Bristol, and has worked as a nature reserve ranger and biologist. He has written and contributed to many award-winning books and multimedia titles, and has acted as a consultant and scriptwriter for many natural history programmes. He is an avid birdwatcher, botanist and bug-hunter.